Help us donate mobile trailers equipped with supplies to create emergency pet shelters to first responders so they are prepared to care for people with their pets when disaster strikes in their community. Provides assistance to not-for-profit animal shelters and similar organizations providing shelter and care for pets displaced during natural or civil disasters. 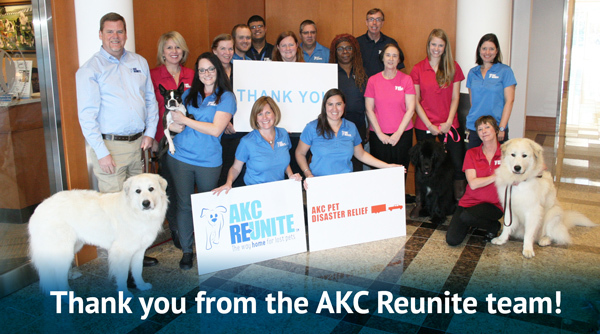 Supports our charitable programs including: microchip scanner donations, free enrollments for working K9s, matching grants so AKC clubs can donate K9 officers to police departments, non-profit search and rescue grants, plus the programs mentioned above.